The installation of an air curtain in a commercial premise shall not suddenly burst into the premises’ aesthetics and architecture. 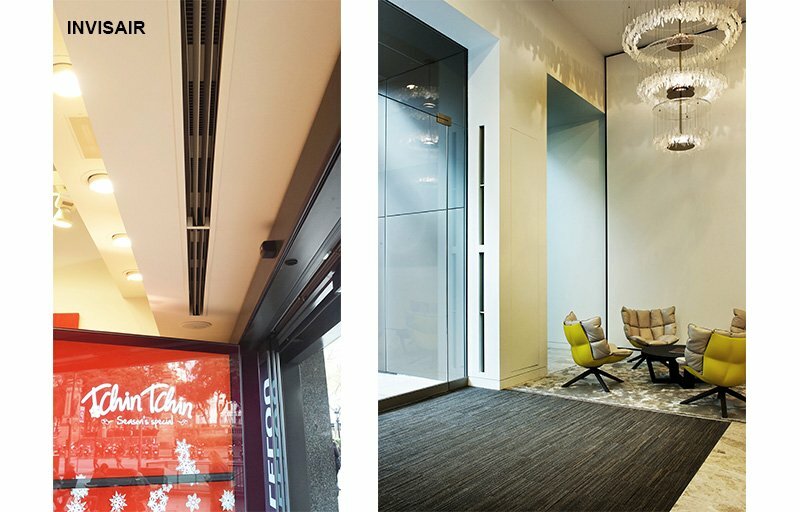 Airtècnics has designed and manufactured a series of air curtains and climatisation systems than can perfectly integrate into the interior design. We are talking about recessed air curtains. 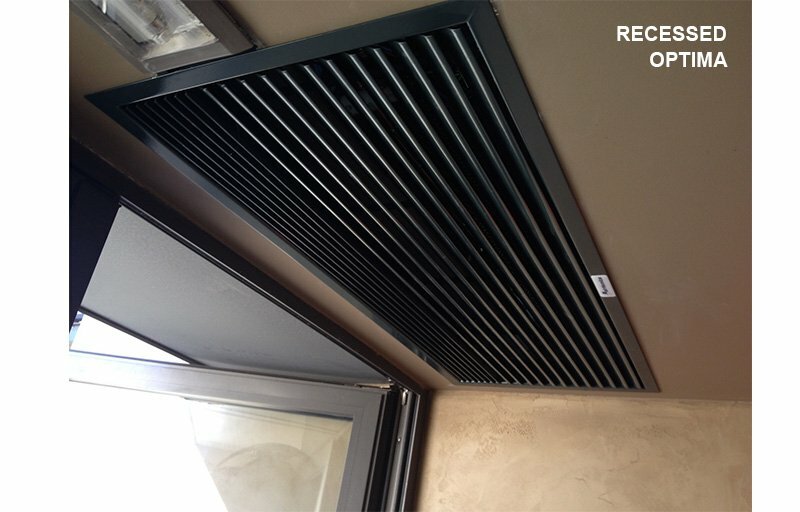 Recessed air curtains installation just need a free space at the entrance door where to insert the main body of the air curtain, as it can be a false-ceiling, a column or a bulkhead. For Airtècnics, efficiency and effectiveness of technological equipment are as important as design. Therefore, five recessed air curtains different models have been designed to respond to all type of needs. Moreover, there is the possibility to install invisible kits for commercial equipment Windbox M, G, and for industrial Windbox L, XL. 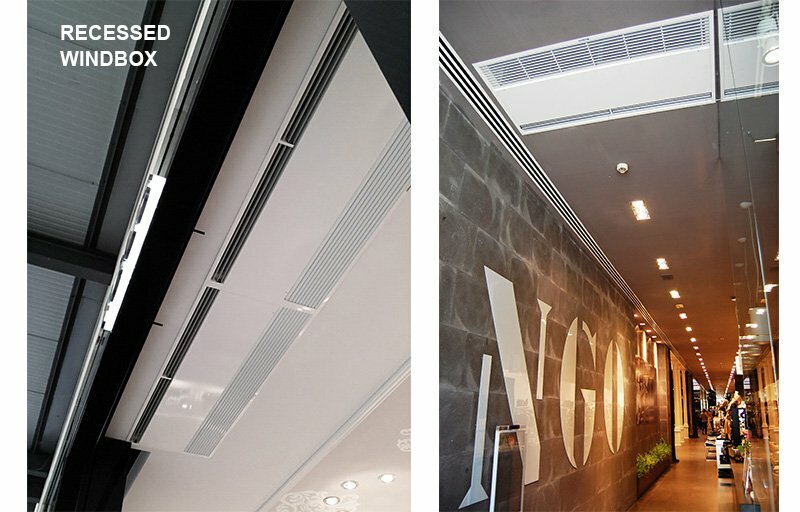 Recessed Optima air curtain: Compact air curtain with cross-flow fans, that can be installed at a maximum height of 2,8 meters. The air intake, discharge and the frame are visible. It provides enough space to install heating. Recessed Windbox air curtain: It is the largest sized recessed air curtain. Its installation is made through false ceiling. It is provided with vanes to regulate the discharge angle and high pressure fans. The maximum recommended installation is of 4 meters. It has enough space to install heating. The air intake is visible with a flat surface part and grille. The performance is higher due to a greater distance between the air intake and discharge. Recessed Dam air curtain: Compact air curtain as Optima model but provided with high pressure fans. The maximum recommended height for installation is up to 4 meters. The air intake, discharge and the frame are visible. It has full grill view design and enough space to install heating. 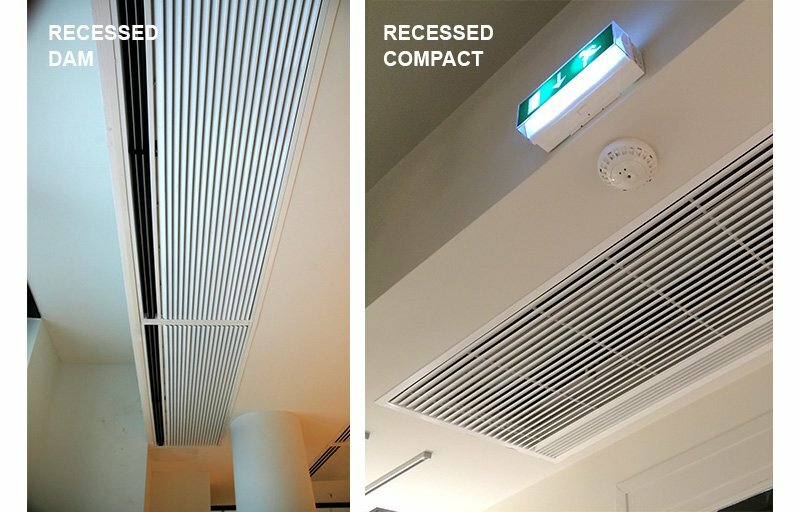 Recessed Compact air curtain: Similar to Recessed Dam air curtain but even more compact and smaller because it does not allow heating installation. It is indicated for premises that need a high pressure recessed air curtain with no heating. With a similar design as Dam model, is finished with full grille view. Invisair air curtain: Specially designed to be installed invisible, inside a column (vertical installation) or a bulkhead (horizontal installation) for architectural reasons. Provided with high pressure fans, the maximum recommended installation is up to 4 meters. The air intake and discharge are in the same plane, so the airflow through the unit is in a straight line as in Zen air curtain. 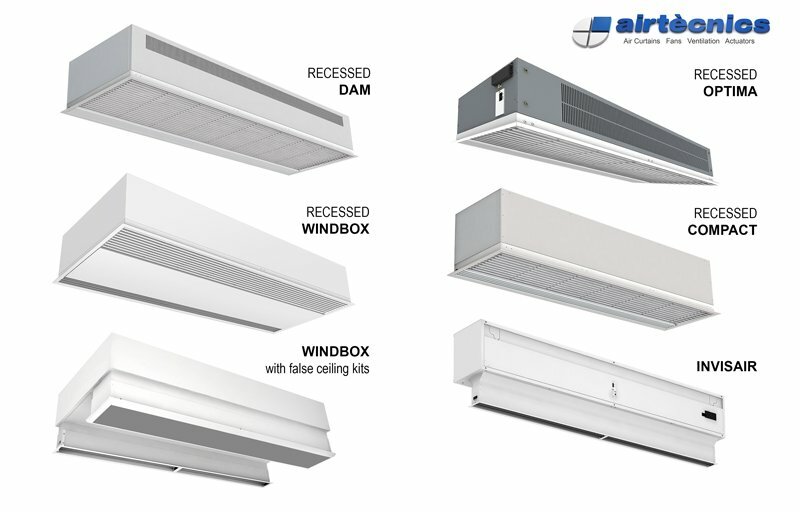 Windbox air curtain with false-ceiling installation kits: It has the same characteristics than Windbox air curtain, with accessories for inside ceiling surface mounting as well as false ceiling invisible mounting.